Ok. I know what you may be thinking. More mint. Another post on something minty from Amy. Why yes it is! Mint is a flavor of the season. 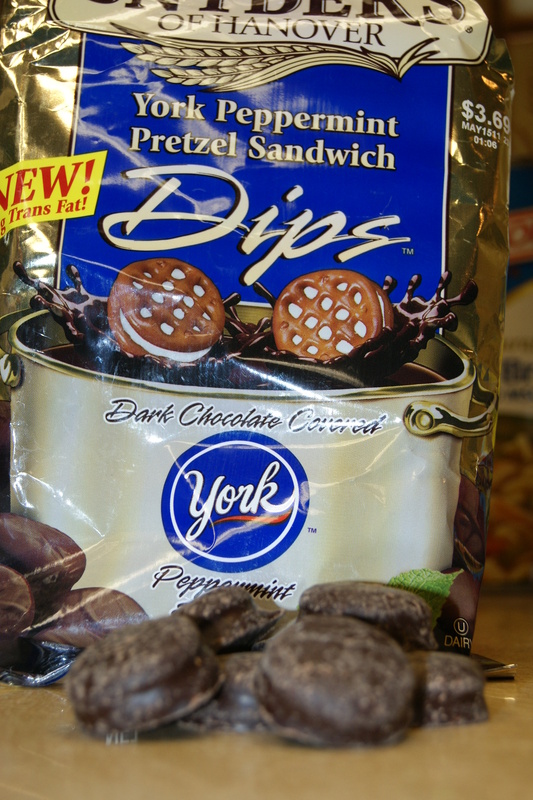 Smoothe, creamy, minty enjoyment between two salty pretzel rounds, covered in dark chocolate. Let me just tell you that they are extremely delicious! I could’ve eaten the whole thing in one bite, but I didn’t. Just for you. Just to show you the inside of these lil munchkins. These may be just a seasonal item, so if I were you, I would run to the nearest store and getch’ya a bag! So excited because Christmas Eve and Christmas are coming right up! What will you be most excited about on Christmas Day? 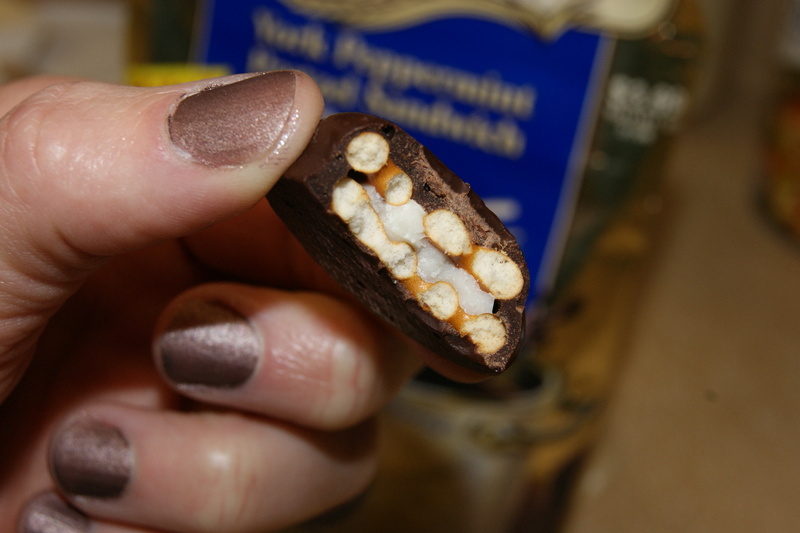 What store bought treat have you discovered this holiday season? 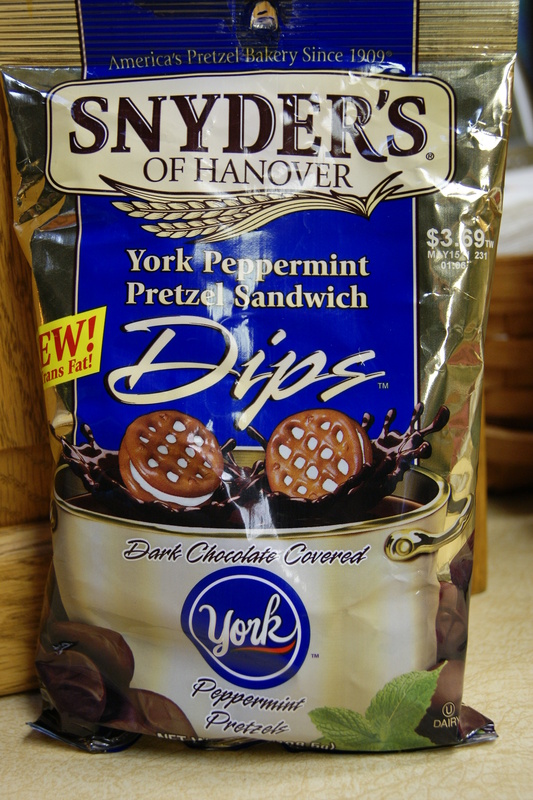 This entry was posted in Deliciousness and tagged Christmas, Snyders pretzels, York peppermint. Bookmark the permalink. I’m sure not gonna be mad atcha for more mint! My friends and fam are probably sick of ME talking about mint! I’ll have to try this- looks fun! These look great! 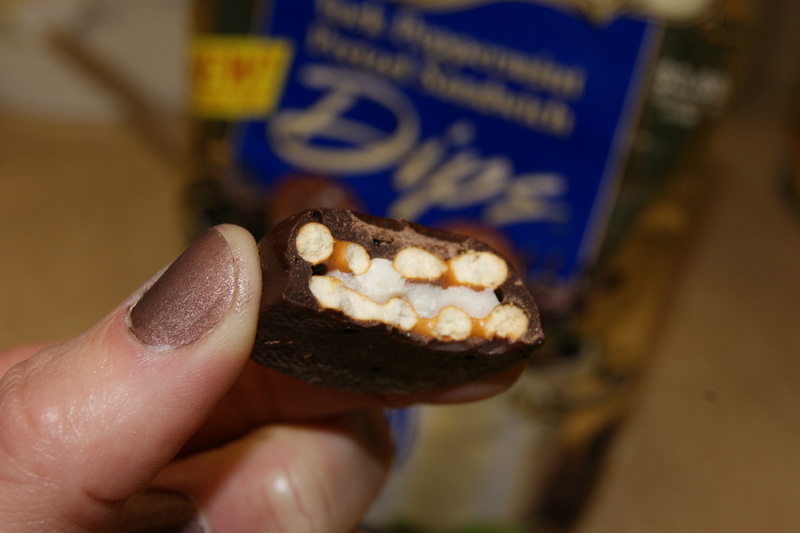 I have discovered some more mint-chocolate goodness too! Yum! I am not a coffee drinker but I love peppermint cocoa! Hahaha! 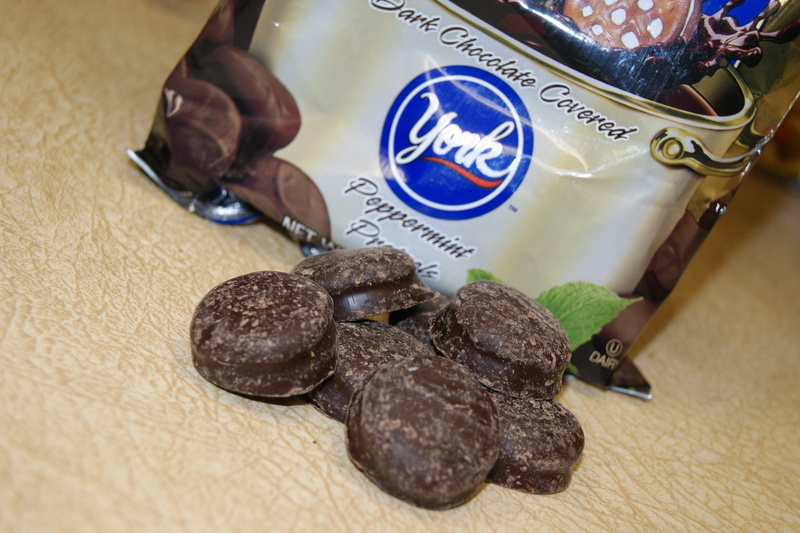 Gotta love chocolate and peppermint! Oh HOLY NIGHT!!!! Looks Sooooo good?! Holy heck those look amazing!!! I had Andes Mint cookies the other day and they were ahhh-mazing. I can’t wait to try these! I haven’t seen those…oh yum! Yummy! I love eggnog! I have like 4 cartons of rice nog in my pantry! I love them, just can’t find them anywhere. They are really good too!